Slavic woman in an embroidered shirt patterns , weaves a wreath of wild flowers sitting by the fire . hd00:26Young beautiful woman with flower wreath at the river. A beautiful girl walks by the river. 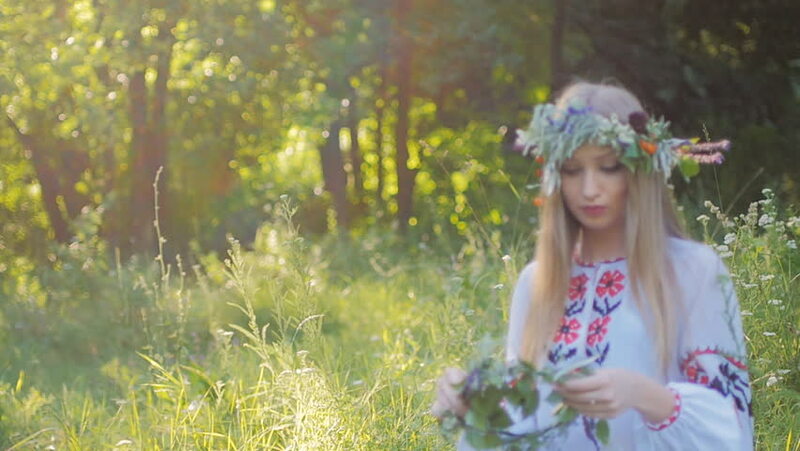 hd00:16Slavic woman in an embroidered shirt patterns , weaves a wreath of wild flowers sitting by the fire . hd00:16Beauty Healthy Girl Relaxing in a Park. Beautiful Young Woman Outdoor. Happy and smiling model face.